I have two uncles who served in the military. I do not remember many details of their military careers. I know the younger of my uncles served in the US Air Force as a mechanic, which would eventually serve as a path to his career working for one of the biggest truck manufacturers. The older uncle was a pilot in the US Navy. Again, I do not know that much about him, other than he had served in the Vietnam War. I had been told that he had been shot down during the conflict. He remained in the Navy long after the war ended, only to be medically discharged following a training exercise helicopter crash. Because I was aware of the military at such a young age, and because I had veterans in my own family, I began my life with an appreciation for those who volunteer to preserve our rights and freedoms. My Saturday mornings as a teenager were spent visiting the home of a childhood friend’s grandfather. We would visit the home in between our Saturday morning activity bowling and then instructing bowling to the smaller children. During our break, we would visit his grandfather’s house, enjoy a tasty hoagie, watch a little professional wrestling, and if time was left, we would get to hear my friend’s grandfather tell us a story about his experiences during World War 2. Upon high school graduation, it was common for students to enlist in the armed forces. One of my best friends, and unlikeliest to enlist, did so in the US Marines. Somewhat of an introverted nerd, he actually did very well with the Marines. During the late 1980’s, our country was headed back into another war, to liberate a country from tyranny. This was going to be the first time that our television would play such a major role as we watched repeated bombings and attacks on key strategic targets were mean to provide freedom to a country overrun by a dictator. This was also the first time, I would actually relate to people who had actually served in a war that I was witnessing. Again, I had reunited with my friend’s grandfather later on, and I enjoyed hearing even more stories of his days in the US Army. I was learning history from someone who was actually there, not being told to me from a text book. More than a decade later, our government felt an even greater need to get involved in affairs overseas. And now, children of relatives and friends of mine were now headed off to war. Some were sent home for medical reasons, only to be sent back for another tour of duty. Many struggle both physically and emotionally with the images forever engrained in their brains. Social media like Facebook and Twitter opened up a whole other window, as I became more aware of the many more classmates and friends who had served in the military. I am proud to know each an every serviceman and servicewoman who have served our country, protecting our freedoms, fighting to preserve our rights and beliefs. And these are just some of the many things that I had the conversation with my daughters yesterday. 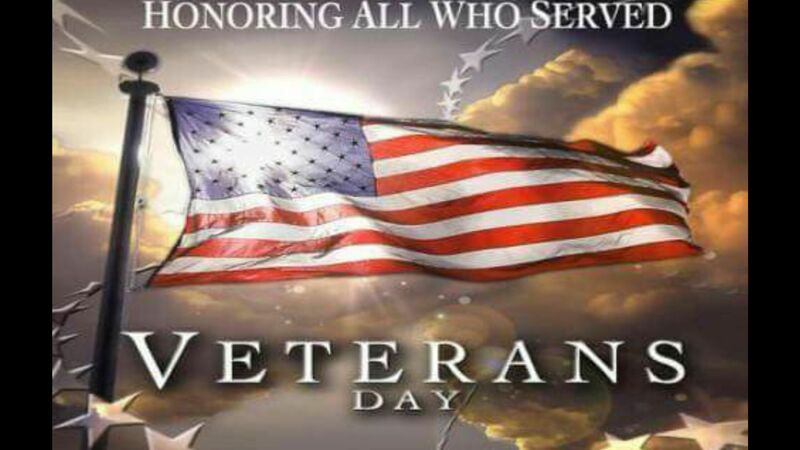 I made a post on Facebook, frustrated, having found out that my daughters’ school made no mention of Veterans Day. While there were responses stating that other schools had paid tribute to our Veterans, it was disappointing that the school that my daughters attend, did nothing. When schools spend so much effort to make sure that our children master Common Core and standardized testing, history is being ignored. And history is important because one of the things that history teaches us, is what not to repeat. My daughters listened to the many stories of the many people I know who have served in the many branches of the United States military. I never had the opportunity to serve, but I am thankful to each and everyone who has.